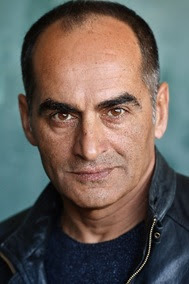 From his critically acclaimed and SAG-nominated performance as Osama Bin Ladin archetype ‘Abu Nazir’ opposite Damian Lewis on “Homeland” to his villainous role as the “Shadow King” on the hit FX/Marvel series “Legion” (the third and final season returns this JUNE 2019) actor Navid Negahban is now taking on one of the most beloved roles in Disney cinema as the ‘Sultan’ in Disney’s Guy Ritchie-directed live-action remake of ALADDIN. 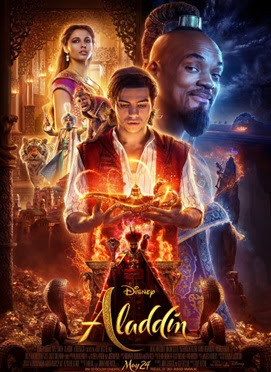 Negahban stars opposite Will Smith, Naomi Scott, and Mena Massoud in this live-action re-telling of the classic 1992 animated Disney film, which is currently slated for a May 24th, 2019 (Memorial Day Weekend) wide theatrical release. 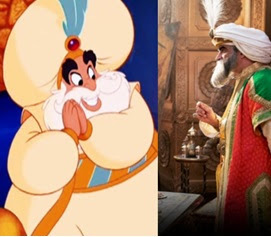 On the feature film front, Navid is set to co-star in the highly anticipated LIVE action Disney film ALADDIN set for a wide release on May 24th, 2019. Navid will star as the beloved character of the ‘Sultan’, father to ‘Princess Jasmine'(Naomi Scott) who falls under the spell of the evil ‘Jafar’ (Marwan Kenzari) which must be broken by ‘Aladdin’ (Mena Massoud) with the help of his ‘Genie’ (Will Smith). As one of the most beloved of all Disney movies, the film is sure to impress with acclaimed director Guy Ritchie at the helm. 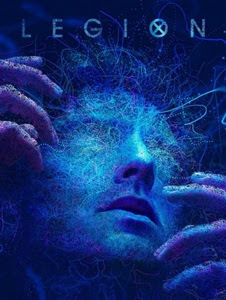 Navid captured one of the most coveted roles in the Marvel Universe on “Legion,” playing the “villain with a thousand faces,” one of the more elaborate Marvel mutants in the series (Season 3 and final season returns this JUNE 2019). Based on characters from Marvels’ X-Men universe and created by “Fargo” producer Noah Hawley, the hit show stars Dan Stevens (“Beauty and the Beast”) and Aubrey Plaza (“Parks & Rec”). Season 2 marked the highly anticipated reveal of ‘Farouk aka The Shadow King’, who made his live-action debut in “Legion” – a shocking twist since the character from the comic books is a manifestation of the dark side of the human consciousnesses, spawned by the first nightmare and occupies different human form hosts, and is never physically materialized. Negahban, best known for his critically acclaimed and SAG-nominated performance as Osama Bin Ladin archetype Abu Nazir on opposite Damian Lewis on “Homeland.” He also has been seen in a multitude of recent projects including the hit film American ASSASSIN opposite Michael Keaton, the Netflix film SAND CASTLE alongside Henry Cavill and Nicholas Hoult and the Jerry Bruckheimer produced 12 STRONG opposite, Chris Hemsworth. Navid also starred in the independent film BABA JOON, which went on to win five Ophir Awards, the equivalent of the Israeli Oscar. Other feature credits include his stand-out role in Clint Eastwood’s AMERICAN SNIPER opposite Bradley Cooper, one of the top-grossing films of 2014, nominated for six Academy Awards. He also starred in BROTHERS with Tobey Maguire and Jake Gyllenhaal; CHARLIE WILSON’S WARstarring Tom Hanks, Julia Roberts and Amy Adams; and WORDS AND PICTURES with Clive Owens and Juliette Binoche as well as Henry Hughes’ DAY ONE which was nominated for an Oscar for Best Short Film, Live Action in 2015. Born in Mashhad, Iran, Navid caught the acting bug at the age of eight, when his portrayal of an old man drew laughter from a large audience at an elementary school play. His passion for acting led him to Germany where he spent eight years honing his theatrical skills prior to arriving in the United States. He is fluent in English, Farsi, and German. In his spare time, he enjoys traveling, studying anthropology, shooting pool, driving and playing poker.